The Bluesound Powernode 2 comes in black or white. 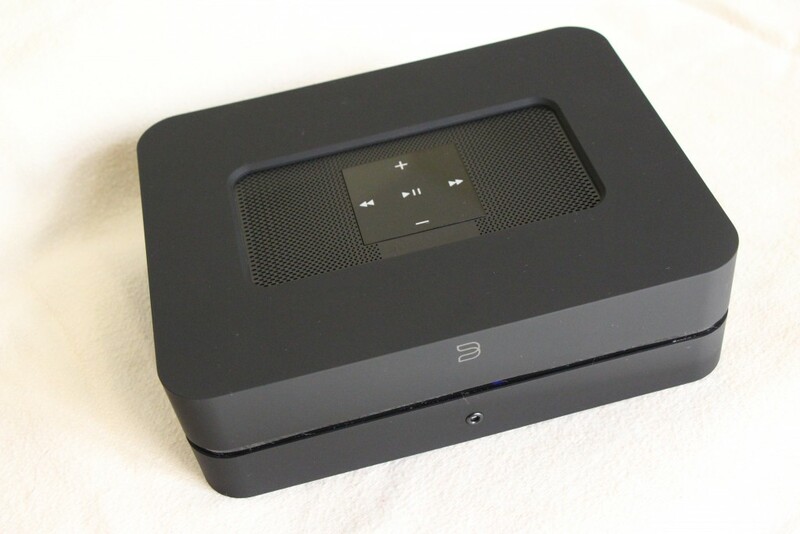 Two more components from Bluesound were handed to me for review – the Node 2 and Powernode 2. After a few days of listening to music using these smaller-than-a-brick components, I felt that they sound good enough to convince the iPod/MP3 generation to upgrade to the ranks of audiophiles. 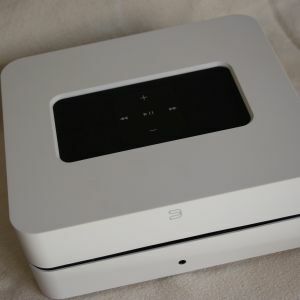 Bluesound, as I explained in the earlier review (see http://av2day.com/2016/01/bluesound-the-latest-in-wireless-music-systems/), is run by former engineers from NAD who revolutionised the hi-fi industry in the 1970s with its good and cheap integrated amp, the legendary NAD 3020. So revolutionising the hi-fi industry is nothing new to these folks. 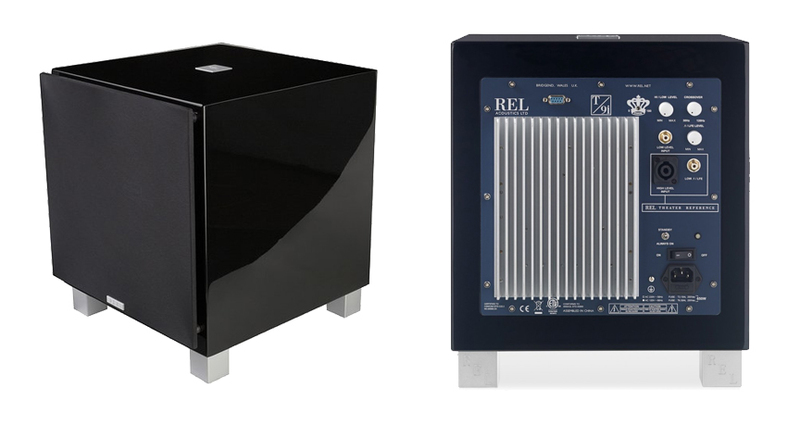 Bluesound, I am confident, will revolutionise the industry in these fast-changing times. This is the smallest of the Bluesound components among the three reviewed. This measures 22 x 4.6 x 14.6 cm (8.7 x 1.8 x 5.7 in) and weighs 1.12 kg (2.45 lbs). Essentially, this is just like the Bluesound Vault 2 reviewed in the previous post without the CD ripping and 2TB internal memory features. 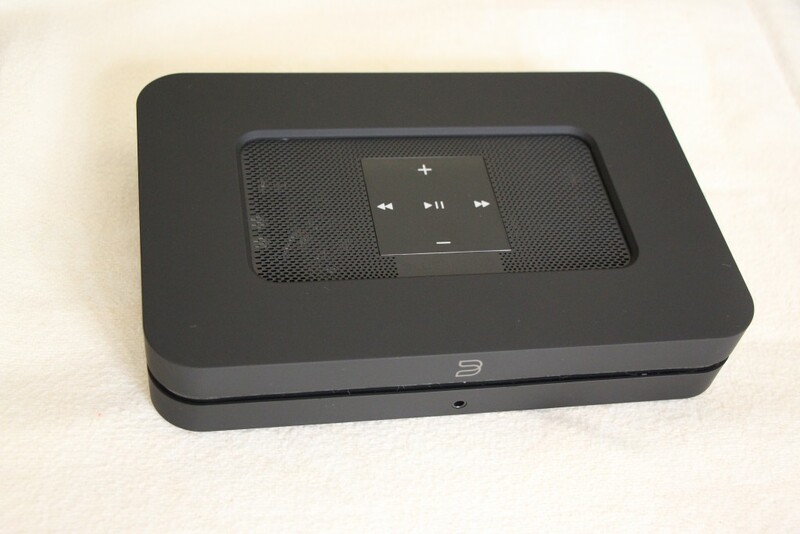 The Bluesound Node 2 has all the features of the Vault 2 except for the CD ripping and internal memory. By connecting it to your wi-fi router with an Ethernet cable (supplied by Bluesound), you will gain access to Internet radio in all sorts of languages. You can tune in to thousands of stations including popular streaming sites like Spotify, Rhapsody and Tidal. You can also connect to a NAS in your network, but if you do not have one, you can always store your hi-res files in a thumbdrive and plug it into the USB slot at the rear panel. Or you can stream music files including ripped CD tracks and hi-res files up to 24/192 from your smartphone via wi-fi to the Node 2. Bear in mind that there is a loss in sound quality when you play music this way. 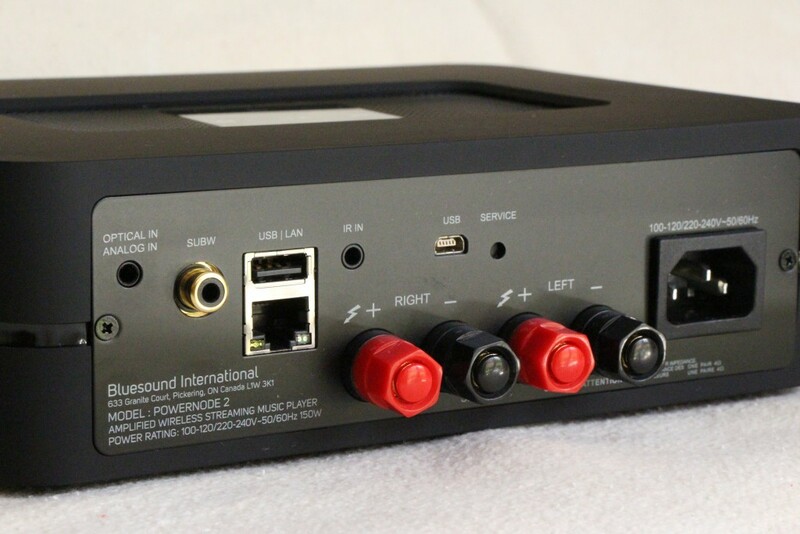 Node 2 also has an analogue input and you need to use an RCA to 3.5mm adaptor cable (supplied by Bluesound) to connect it to your CD player. All you have to do is connect the Node 2 to your sound system. In my case, the analogue outputs of the Node 2 were connected by WyWires Platinum interconnects to the Lamm preamp and the resident system. From its website: “Using industry-leading 1GHz ARM Cortex-9 Multi-core processors, you’d think Bluesound was engineered for something more than just audio. Bluesound’s 32-bit architecture combined with 8x oversampling DAC platforms, ensures that your lossless high-res music playback is flawless, with precision and clarity – at any volume.” A quick check with Google revealed that ARM Cortex-9 processors are widely used by smartphone and tablet companies. The sound quality – just like the Vault 2 – is about equal to that of a mid-priced CD player (costing around RM5k to RM10k). It is surely not entry-level performance. Since I have a Soul Note SD300 DAC Headphone Amplifier in for review, I decided to use it as an external DAC with a Van den Hul Digicoupler co-ax cable. The Soul Note DAC presented a more relaxed, spacious and detailed sound. At the front panel is a small (3.5mm) jack for headphones and I used my pair of Sennheiser 600 headphones to listen for a while. It wasn’t studio quality, but for something at this price range, it was not too bad. This offers everything that the NODE 2 has, but it includes a built-in amplifier which makes it a multi-purpose integrated amplifier. 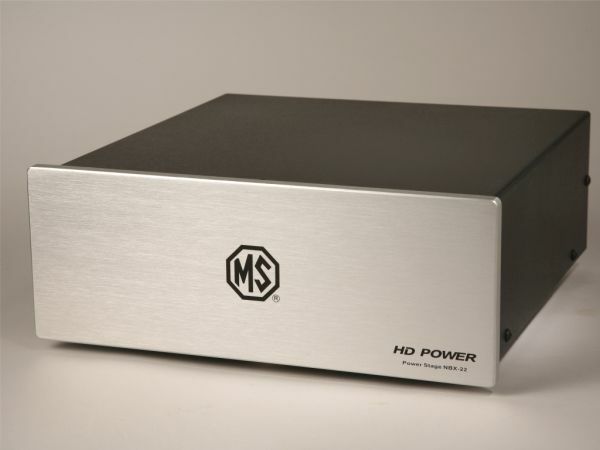 The amplifier portion uses Bluesound’s ‘hybriddigital’ amplifier module which pumps out 60 watts per channel into 8 Ohms. Whether the rated power output is RMS or Peak Power is not mentioned, but it did not really matter. I must say that the amplifier sounded really good given its price and technology. It is a digital-based amplifier, but it did not sound dry like other digital amps. It had a smooth, punchy sound with a tilt to the warm side. The rear panel of the Powernode 2. The binding posts are of quite good quality. What was surprising was that it could drive the inefficient ATC SCM50s (rated at 85dB sensitivity) to really loud levels without losing its grip or distorting. The bass went quite low and was really tight. I also used it with a pair of Focal Chorus 705 standmount speakers which have sensitivity of 89dB. It sounded quite good with them too, but since the Powernode 2 matched so well with the ATCs, I spent more time listening to music – played mostly from the thumbdrive comprising some CD rips and hi-res files from HDTracks (up to 24.192) – with the Powernode 2 hooked up to the ATCs. Surprisingly, the Powernode presented a soundstage that was exceptionally wide – there was a track when I heard the sound of an instrument coming from around a foot from the outer edge of the left speaker. Like I said before, the ex-NAD folks surely know how to revolutionise the hi-fi industry. 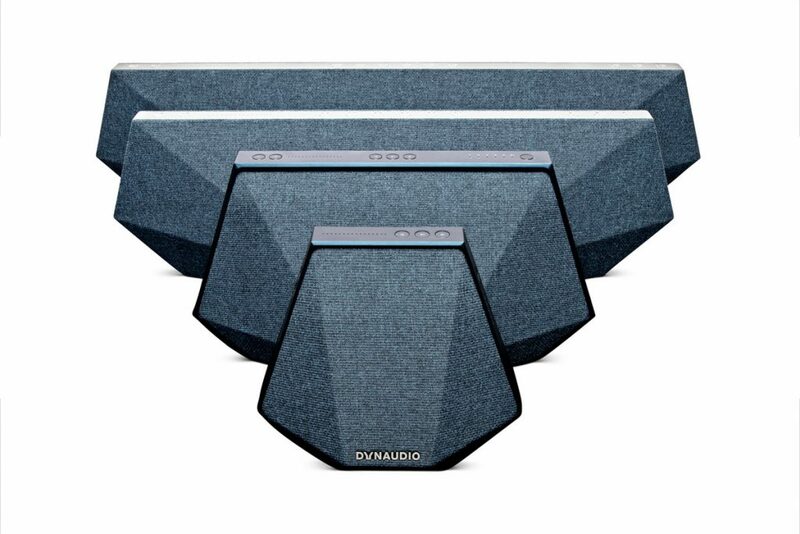 With the Bluesound products, they are offering convenience with high quality sound. Bluesound products are sold by CMY. The Node 2 is priced at RM2,935 (rrp) and the Powernode 2 costs RM4,700 (rrp).